Whenever you asked anyone at the Mubarak Public Library who built the mansion in which the library is domiciled, the answer was always "Tahawi Pasha." This derived conviction had its roots in the name of the adjacent side street: Shari'a el Tahawia. Unfortunately, this kind of simplistic deduction often leads to self-perpetuated historical inaccuracies which--it goes without saying-is unforgivable if the proponent happens to be a center for learning. As it turns out the original occupant of this superb redbrick Artdeco house was a foreigner who held the lesser title of "bey." The reason he lived there was that No. 4 Tahawia Street was built by, and belonged to, the Credit Foncier Bank of Egypt of which Marcel Vincenot Bey was its last French director. In fact, the mansion consisted of two palatial apartments, the second one occupied by Vincenot's colleague and countryman, banker Emile Minost. The design of the mansion is attributed to yet another Frenchman, George Parcq. His works are all over Garden City and downtown Cairo including the pink chancellery of the French Embassy in Giza. 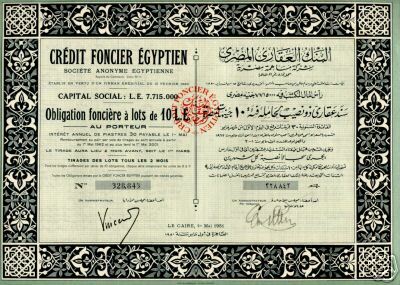 When the Credit Foncier Egyptien was nationalized in the late 1950s the predominating French influence which had characterized it since its founding in 1881 was no more. Two decades would pass before the bank's imposing premises on Abdel Khalek Sarwat Street made history again, this time as headquarters of the newly created Arab International Bank. In the meantime the belle époque building wallowed in obscurity so that even the engraved bank's name on the façade became home to armies of cobwebs. Meanwhile, across the Nile in Giza, the house of the bank director would suffer a different fate. To the credit of Nasser's socialist era, houses of the stature of No. 4 Tahawia Street were not destroyed. In fact, many became headquarters of the Socialist Union party, government offices or homes to the party faithful. The grandest among them were allocated free of charge to Nasser's Free-Officers which is how the Credit Foncier villa overlooking the Nile became home to Abdel Hakim Amer, Egypt's much decorated republican mushir--field-marshal. For several years No. 4 Tahawia Street was home to Nasser's closest sidekick. Related by marriage the two men enjoyed a special rapport envied by the rest of the junta. It was during the mushir's unencumbered tenancy that the two sumptuous apartments were merged into one. So in actual fact, the immeuble de rapport had turned into an hotel particulier. But, like the proverbial house of cards, it would all come tumbling down. And with good reason. The mushir failed to deliver the promised victory during the June 1967 War. 1967 should have been the 'Year of the Mushir' but instead of defeating Israel, Egypt lost its Air Force and most of Sinai in a matter of hours. All which remained intact of Egypt's arsenal was the field marshal's baton. 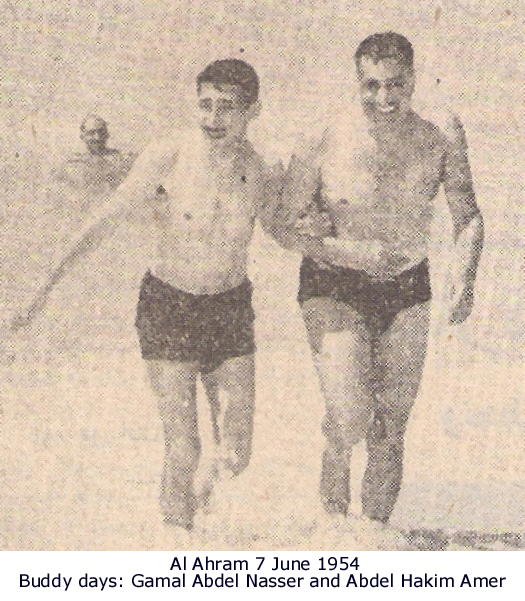 For some within the junta this was their opportunity to shower Nasser's confidant with shame and injury. At first, Abdlehakim Amer was put under surveillance with state security surrounding No. 4 Tahawia Street. Then, in July 1967, orders came that the defrocked mushir was under house arrest. Many within the dispirited army who still believed in their former commander flocked to the mushir's house in a show of support. Fretful that Amer may be hatching a putsch, Nasser ordered a state of siege calling in several armored trucks. The mansion was now impregnable. No one could step in or out. The surrounding area had turned into an urban war zone. A few days later Egypt was rife with rumors again: had the mushir taken his life or was life taken out of the mushir. The autopsy reports stated suicide but in a country that had become used to writing and reading between the lines, the general consensus in the street was that the former general had been ostensibly liquidated. People were getting a freebie show of the 1952 "revolution" devouring itself. With the mushir's demise the former Villa Credit Foncier went from state of siege to the house of wounded pride. In an effort to compensate the memory of the fallen general--after all he had been a founding Free Officer--Amer's family were allowed to remain at No. 4 Tahawia Street for as long as the first Madame Amer remained alive (the mushir had married an actress shortly before the defeat). It was therefore after Mrs. Amer's death that the house reverted back to the state at which time discussions were initiated with Germany's Bertelsmann's Foundation to turn it into a library. On 21 March 1995, a completely restored Villa Credit Foncier, now the Mubarak Public Library, was inaugurated by President Mubarak. With him to mark the occasion were Klaus Kinkel and Rita Susmuth, Germany's minister of foreign affairs and the Bundestag's president respectively. Once the emblem of Franco-Egyptian cooperation, this belle époque landmark is today a symbol of collaboration between Egypt and Germany. Thankfully, no one wants to remember how No. 4 Tahawia was so closely connected to Egypt's hour of shame. Maybe this is why they'd rather tell you it belonged to a fictitious Tahawi Pasha.